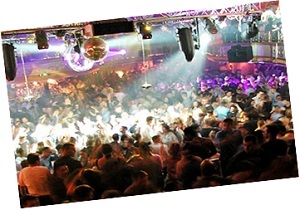 The Orlando area has a sparkling nightlife with lots of bars, pubs and nightclubs to choose from. For foreign tourists, a night out in the USA can be a lot more expensive than in other countries. VIP and bottle service are a common thing in the USA and is even popping up in other parts of the world. I'm not used paying hundreds of dollars for these services, but a lot of people are and they are fine with it. Admission and the costs of drinks can be quite high at nightclubs (compared to prices I know in Europe), but for American visitors on this website, the prices are probably about the same in their own neighborhood. If you are on a smaller budget, there are still enough pubs and bars to pick to have a fun night out. Just don't drink and drive when you're going out, if the cops catch you DUI they will take you to jail. These are some of the recommendations. If you have more, contact us. 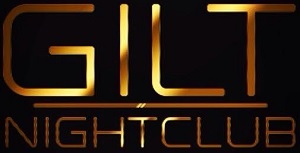 GILT Nightclub is a high energy dance nightclub, located near the intersection of East Colonial Drive and Bennet Roadd, just above Orlando Executive Airport. Previously Roxy Nightclub was located over here. Open from Wednesday till Sunday and sometimes hosts special events. GILT features a VIP section for those who don't want to wait in the line and have a special night out. On Wednesday you can drink as much as you want if you pay $10. Ladies get in the club for free until midnight and drink for free. Free admission and free drinks? Girls have all the fun! It is about a 30 minute drive from International Drive. Watch out where you park your car, if you don't park it at GILT, it can be towed. Make sure you don't forget the bars / clubs on International Drive and Universal Citywalk! I will try to add more bars and clubs in the future, if you have tips, please let me know!